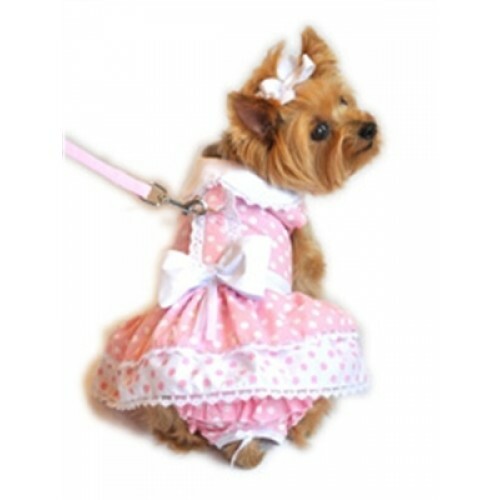 This adorable Pink Polka Dot and Lace Dog Dress comes as a complete set with Leash and D-Ring. Made with Cotton/Poly Blend Fabric. Available in sizes Extra Small through Large.